- Patron of seamen, merchants, fishermen, children and Russia. - Feast Day: December 6th. 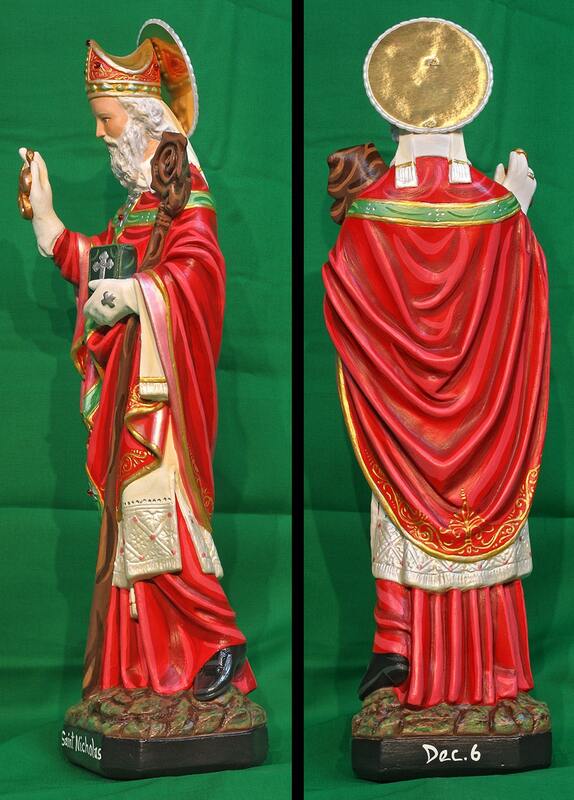 This 20" statue features a distinguished hand painted face and details such as fingernails and eyelashes, exquisite filigree detail on vestments, and golden halo. 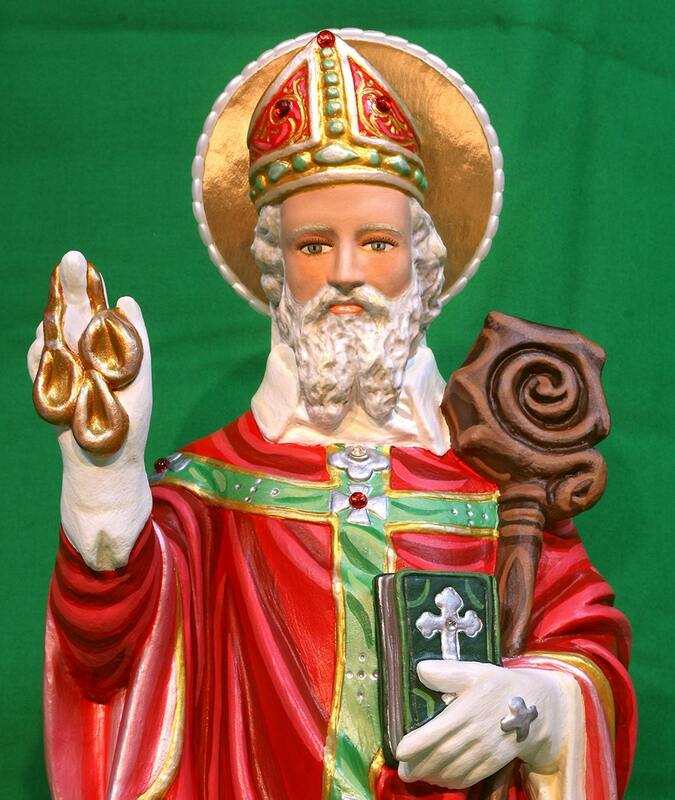 St. Nicholas holds the Word of God and his staff in one hand and three bags of gold in the other hand. 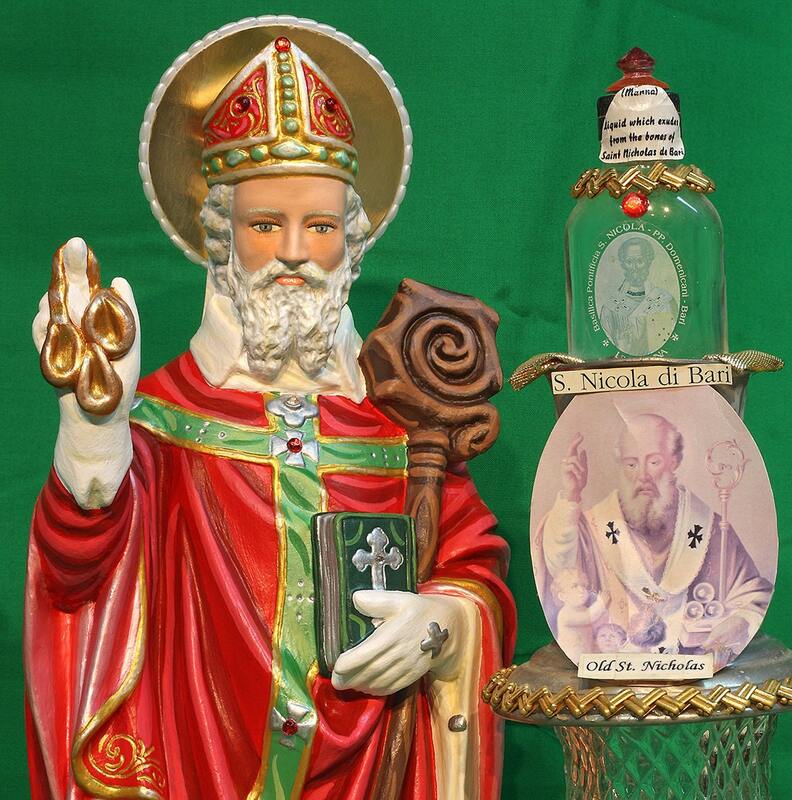 Your finished statue will also be touched to a relic of St. Nicholas (manna - liquid which exudes from the bones). All our statues are made to order and handmade in the USA. Please allow 5-10 weeks for us to make and ship your beautiful statue.